Play Big Cash Win for a Big Cash Win! 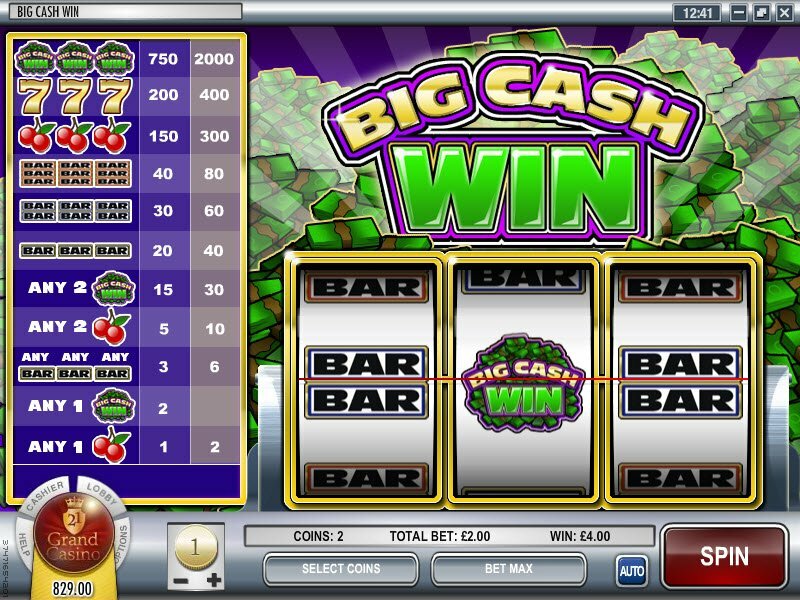 Big Cash Win slot machine is another solid and simple venture from Rival Gaming. Anyone who enjoys the simplicity and atmosphere of a real casino and the slot games they provide will be sure to enjoy this offering. With the hustle bustle sounds of a busy casino, you feel like you are sitting on that three legged stool, holding your coins in a tub, slotting them into the slot machine as you try and reel in those big cash wins. The sounds give the perfect atmospheric ring of truth to this 3-reel Big Cash Win slot. Here are some basic, no nonsense graphics, which are some of my favourites on offer from Rival software 3-reel slots. You've got your two red cherry symbol, your big cash win symbol, all the lucky sevens symbol plus your 1, 2 or 3 bars symbols. When Rival gaming software sticks to what it does best, simple 3-reel slots like Big Cash Win, that is where it's graphic talents match up with innovative, very user friendly and playable slot machine games. The only bonus you get here on Big Cash Win slot is the bonus of simplicity. No over-complicated 3-D graphics or progressive jackpots waiting to be sprung on you, keeping you riled up and waiting. Just simple, good old fashioned slot play, like you get in a real live casino, complete with the sounds and drunken singing in the background by those not so focused on their gameplay but more on the perks. Here are some basic, no nonsense graphics, which are some of my favourites on offer from Rival software 3-reel slots. Three big cash win symbols in this slot can net you between 750 and 2000 coins, so, this is definitely not a bad way to spend an afternoon. 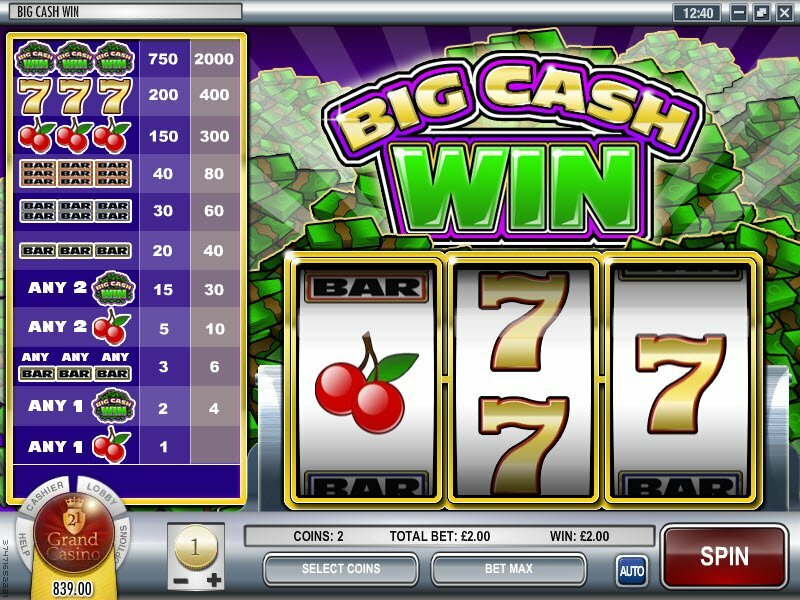 The lucky sevens as symbols are the second biggest Big Cash Win payout and, you can make from 200 to 400 coins. Cherries are your lowest payput but, at least even just one of them ensures some recoup on your wager. 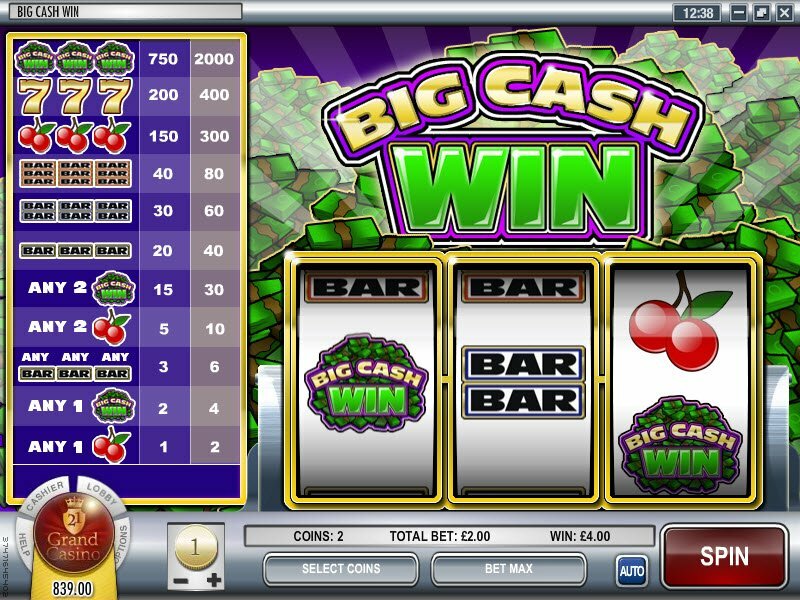 You have to net at least three Big Cash Win symbols as, just 2 and you will not be getting anywhere near as much as the Bar symbols will payout.